The first step in planning for your Mount Kilimanjaro trek is deciding which route to climb. There are 7 established Kilimanjaro routes to choose from. Each has its own distinct features and offers a unique experience. Then you’ll need to consider what is the best time to climb Kilimanjaro, there are two wet seasons a year on the mountain that you will want to avoid. Finally, you need to research and pick which tour operator to use. In this section I’ll go over in great detail When to Climb Kilimanjaro, Route Selection and Kilimanjaro Operators – click on any section category to jump ahead. Mount Kilimanjaro can be climbed all year round. However, you should be thoughtful while deciding when to take your trip. You’re going to spend quite a sum of money, so you don’t want to ruin the trip by picking a crappy time to go. The best time to climb Kilimanjaro is during the main dry season, from July to October. Because Tanzania is near the equator, the country does not have four seasons like we do in the USA. Instead, there are wet and dry seasons. The main dry season occurs during our summer (July) and goes through fall (October). This is generally considered the optimal time to climb Kilimanjaro. Rain and snow and blizzard-like conditions are least likely to occur during the main dry season. The negative aspect of climbing at this time is that the mountain becomes very crowded. On any given day, there can be a thousand people at your campsite! But if you have to choose between being relatively alone with miserable weather, or crowded with beautiful weather, I’d opt for the second choice. Now the other option is to climb during the short dry season, which is from January to February, which lessens the crowds somewhat. The chances of having great weather are still very high, but because these two months are bookended by rainy seasons, it’s possible that the rainy seasons run long or start early. For those who truly want to be left alone, you can climb during the rainy seasons. The long rainy season goes from March to June, and the short rainy season goes from November to December. However, you must be willing to brave the wet trail conditions to do this. This should only be done if you have done wet weather backpacking before. First time trekkers should never climb during the rainy season. The difficulty and discomfort are exponentially higher at this time. If you are wondering about how cold it will be, it can always be bitter cold. It is far more important to come while it is dry than to try to come during the relatively warmer months. The few degrees do not amount to much, but being soaked on the trail will. Mount Kilimanjaro’s weather is unpredictable. All climbers should be prepared for rain and cold regardless of the time of year. 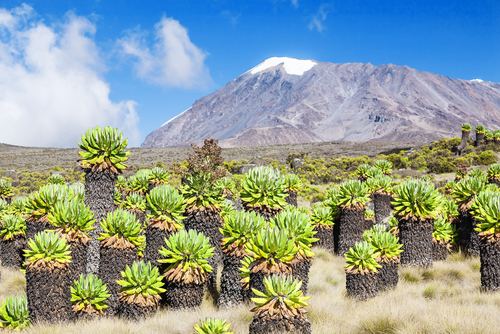 There are six ecological zones on Mount Kilimanjaro. The trek from the base to the summit will bring climbers through an amazing range of conditions. At the lowest level is the bushland zone, made up of cultivated land and grasslands. Temperatures here are very pleasant, with a year-round average of around 70 to 80 degrees Fahrenheit. Temperatures decrease with each correspondingly higher zone. It is important to remember that these remarks about weather are generalities, and the actual weather is impossible to predict. As climbers make their way through the park gates, they enter the rainforest zone. The rainforest is characterized by dense forest, humidity and precipitation. The rainforest zone receives the highest amount of rainfall of all the zones, receiving as much as 80 inches a year. Lichens, mosses and ferns dangle from trees making a dense canopy that harbors brightly colored insects, colorful flowers, hornbills, colubus monkeys and leopards. On the upper edge of the forest, smaller shrub-like trees begin to replace the tall, straight-trunked trees in the heath zone. The forest abruptly opens up into an area of rolling, unfertile land that consists predominantly of dense heather. Buffalo, elephants, elands, common duikers and the yellow-crowned canary are just some of the wildlife here. The fluctuation in temperature causes desert-like conditions in the alpine desert zone. Temperatures may range from below freezing at night to simmering during the day. The alpine desert zone receives only 10 inches of rain per year. Only the hardiest organisms can survive this climate. Although not much wildlife lives here, elands and leopards sometimes pass through. Thin air and strong winds make flying too difficult for most birds. Starkly beautiful glaciers straddle gaping volcanic craters in the summit. The arctic zone is almost completely void of vegetation due to its arctic climate, except for some red and gray lichens that have adapted for survival. The artic zone receives less than four inches of precipitation per year, usually in the form of snow, and night-time temperatures at the summit can be subzero. The presence of snow so close to the equator has often been a fascination for explorers. However, many scientists believe these glaciers will disappear within 15 years. What Gear do I Need to Climb Kilimanjaro? There are so many Kilimanjaro routes. How do I choose one? There are 6 established Kilimanjaro routes to choose from. Each has its own distinct features and offers a unique experience. The information here will enable you to choose the best route to climb Mount Kilimanjaro for you. The routes are: Marangu, Machame, Lemosho or Shira, Rongai, Northern Circuit and Umbwe (Mweka is used only for descent). It is important to choose a route that gives you the greatest chance of reaching the summit. If you have previous experience hiking at altitude, or are considering climbing Mount Meru before climbing Mount Kilimanjaro you could choose a shorter route. However, if this is your first time climbing at altitude you should select at least a seven day treks, more days on the mountain translates to a better chance at summiting. Each of the ascent routes meet with a path circling the Kibo cone, a path known as either the Northern Circuit or the Southern Circuit depending on which side of the mountain you are on. The trails mix and merge at this point and once you reach Kibo there are three trails that lead up to the crater rim: the Western Breach Route (aka the Arrow Glacier Route), Barafu Route and the nameless third path (I’ll call Kibo Huts Route) that runs up from Kibo Huts to Gillman’s Point. Depending on which route you took to get to this point will determine which of these three routes you will take to the summit: the Shira, Lemosho, Machame and Umbwe routes use either the difficult Arrow Glacier Route or the easier (but longer) Barafu Route, while the Marangu and Rongai trails use the Kibo Huts Route. Rongai: the only trail to approach Kibo from the North, on the Kenyan side of the mountain. Lemosho: an unspoiled and tranquil route that approaches Kibo from the West. Umbwe: the most demanding route on Kilimanjaro due to the direct approach. Northern Circuit: is the newest, most exciting route on Kilimanjaro. It begins on the Lemosho trail then traverses the rarely visited northern slopes. Machame: referred to as the whiskey route as it is considered to be one of the more difficult routes. Marangu: known as the Coca-Cola route due to its mass appeal and accessibility. Shira: one of the lesser used trails on Kilimanjaro, making it perfect for those wishing to avoid crowds. Marangu: Very popular. Gentle gradients and long sections up to 4700m. Beautiful forests and moorlands, comfortable but basic huts. The 6 day variant provides good time for acclimatization. 5-6 days, 64 km. Machame: Second most popular route. Beautiful forest, very good for acclimatization, scenic traverse to Barafu. 6-7 days, 49km. Lemosho & Shira: Long access drive, remote, less frequented, beautiful forests, scenic traverse to Barafu, camping. Excellent for acclimatization. 7-8 days, 56 km. Rongai: Long access drive, remote, less frequented, some fine, wild, high-altitude mountain scenery, camping. Good for acclimatisation. 6-7 days, 65km. Umbwe: Shortest and steepest route, tough. Beautiful forest, spectacular ridge, bad for acclimatization, scenic traverse to Barafu, camping. Dangerous route. 5-6 days, 45 km. The route you ultimately decide to do should be based upon which route fits your ability. Most people climb on Machame and Marangu. Both are relatively inexpensive compared to other options. The main reason people climb Machame is that it is a fun, challenging route that has pretty decent acclimatization. The main reason people climb Marangu is that it has hut shelters so you don’t have to sleep on the ground. Between the two, Machame is considered to be better than Marangu for beauty and success. The various routes on Kilimanjaro can be climbed in as little as five days to as many as eight days. Although it makes financial sense to try to climb Kilimanjaro in as few days as possible, it is not the smart thing to do. The reason for spending a longer time on the mountain is that the more time on the mountain, the better chance your chance of adapting to the high altitude. If you climb too quickly, it is very likely you will develop acute mountain sickness. Although you can continue to climb with mild cases, moderate and severe cases will force climbers to descend and possibly require further medical treatment. In severe cases, acute mountain sickness can be fatal. Being sick on Kilimanjaro is no fun. So avoid short climbs at all costs! Climbers should plan on spending seven days (or more) on the mountain. The longer you stay on the mountain, the better your chances of reaching the top, and the lower your chances of becoming sick. The 7 day Machame Route and 8 day Lemosho Route are my personal choices. These routes have sufficient acclimatization and pretty views. You won’t be disappointed with these treks. What do I Look for in Kilimanjaro Guides and Porters? Safety – Kilimanjaro is dangerous. Every company should have the ability to prevent and treat sick clients. Equipment – The tents and other equipment utilized should be able to cope with the demands of the mountain. Experience is important. Most of the reputable companies have operated for ten or more years and have thousands of successful climbs under their belts. Be sure to search for independent testimonials on the internet, or ask the company to provide you with contact email addresses and phone numbers of recent clients. Climbing Kilimanjaro is a potentially dangerous activity, so put forth an honest effort in your research. The price to climb Kilimanjaro varies tremendously. At the top of the price spectrum are the international companies. Most international companies charge $4,000 to $6,000 per climber. They send western guides to accompany the clients on the climb. They typically have the best equipment and most luxurious of amenities before, during and after the climb. These are usually well known companies who run excellent treks and have hefty price tags to go along with it. In the middle of this range are higher end local companies and international companies who act as agents for these pre-screened companies. These outfitters provide the basics necessary for climbing, but do not offer the luxury services of the high end companies. These mid-range companies charge between $1,500 to $3,000 per climber. These guide companies seek to provide a true backpacking experience without sacrificing safety and professionalism. At the lower end of the price spectrum are the local Tanzanian companies. Most are poorly outfitted and unprofessionally run. To obtain customers, they promise everything but usually fail to deliver. Low budget companies can cost less than $1,000 per climber, but it is best to avoid the low priced local companies. There are many different ways to book your Kilimanjaro climb, and some of them are far better than others. Here are a few tips to help you avoid some of the obvious pitfalls of booking a Kilimanjaro climb of a lifetime. This is going to be an expensive trip no matter how you do it and not everyone who begins the Kilimanjaro climb actually makes it to the summit. If you want to make sure you are getting a good deal with an experienced operator then there are a few things to consider before deciding to actually make the booking. The vast majority of people will book their Kilimanjaro climb long before they get on a plane to Tanzania. You can book once you arrive but there are many risks involved. The only advantage of booking your climb on arrival in Tanzania is cost saving. There are literally hundreds of small operators offering extreme budget trips. Some are way below cost and it takes a lot of time, confidence dealing with confusing names and faces and good luck. You will definitely save a few dollars, perhaps even a few hundred dollars. The main disadvantage of booking your climb on arrival is that you have absolutely no idea who you are talking to or dealing with. Tanzania is one of the most corrupt countries in the world and you can take nothing at face value. Local Tanzanian outfitters have a terrible reputation for sharp practice, cost cutting scams and the blatant exploitation of their guiding and support staff. Out of some 300 listed outfitters in and around the main towns of Moshi and Arusha, there are perhaps twenty that can be considered legitimate. The remainder are fringe outfitters that use low grade guiding staff and offer extremely poor services. Spend a few days around Moshi talking to some different guides to see who you feel comfortable with and compare prices. Take advice from other travelers and climbers. Check out the equipment they use. Are the tents in good condition? Make sure your cheap climb will have the proper size crew. It’s possible to save a bit of money by hiring a smaller crew, but you might regret this on the summit day when one or two people succumb to AMS and the whole group has to descend because of too few guides. Make sure when you sign in that you have signed in for the number of days you have paid for. It is a common scam to sell an eight day trip, but pay the national parks for six days, and then to push as many clients as possible to succumb to AMS within the six days to save on all the parks fees you have paid for your guides, porters and yourself. Be certain to use a company with an actual building and address. There are hundreds of vendors and scalpers selling climbs as middlemen. These independent salespeople are known as flycatchers because they make money by taking a commission by introducing naive tourists to the suspect companies. You don’t need this service and the commission will be added to your final price. There are many ways to book your Kilimanjaro climb before leaving home, and again, there are some things to be very careful about. If you think you know exactly what you want already there are some ways to book your climb that might even save you a few dollars in the process, but for a trip like this you might regret. Book from someone who’s actually climbed Kilimanjaro themselves. Some travel agents and even sporting goods chains can show you a brochure and book your climb, but this isn’t like booking a generic trip to Hawaii or some other mass destination. Mountaineering is a serious undertaking and someone with their own experience will know all the right questions to ask you before locking in your trip. Book from someone who can help you prepare for your climb after the trip is set. The information on this site just scratches the surface of the whole experience. You are going to have questions about your preparation and it’s important to actually have someone to ask. Book from someone who knows the options involved. 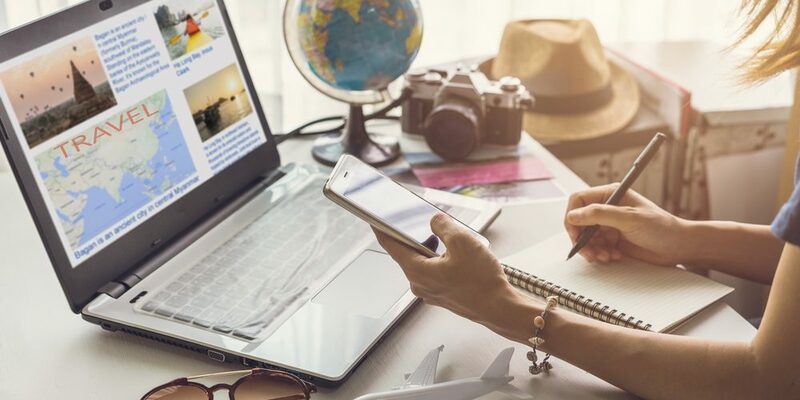 There are many ways of actually putting together a package, so someone who knows the area can recommend a safari or other activities you might be interested in after flying halfway round the world. Don’t book based on price. What one website says is a price compared to another website is not the same thing. You need to think about guide to client ratio, number of porters, type of equipment, quality of the cooking, past experience. All of these can vary wildly between each company. If you want a great trip, you are unlikely to get it if you are determined to pay under US$1500. Remember that if you pay below cost your outfitter will have to find some way to cut costs, and usually this is at your or his porters expense, probably both. 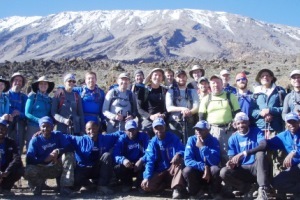 Organizers of Kilimanjaro climbs are known as operators or outfitters. Their function is retain experienced guiding and support crews and to arrange and conduct the expedition, supplying all kit, food and other climb logistics. They will also usually arrange for your transfers to and from Kilimanjaro International Airport, basic hotel accommodation before and after the climb itself, and a general flow of information and advice before, during and after the sales/climb process. The best packages are all-inclusive package except for drinks, tips and a few occasional meals at the hotel. Some extra costs you need to count on include tips for the guides, cooks and porters (handled differently by the different guide groups, and much higher tips for any US or European guides in the group ). Warm clothing and boots or shoes suitable for hikes like Kili to donate to the porters and guides at the end of the trip. T-shirts are ok, too, for the lower slopes, but they mostly want warm clothing. In 1991, the park authorities made it compulsory for all trekkers to arrange their walk through a licensed agency. Furthermore, they insist that all trekkers must be accompanied throughout their walk by a guide supplied by the agency. Even after these laws were introduced, for a while it was still feasible to sneak in without paying, and many were the stories of trekkers who managed to climb Kilimanjaro independently, tales that were often embellished with episodes of encounters with wild animals and even wilder park rangers. Fortunately, the authorities have tightened up security and clamped down on non-payees, so these tedious tales are now few in number. Don’t try to climb Kilimanjaro without a guide or without paying the proper fees. It’s very unlikely you’ll succeed and all you’re doing is freeloading – indeed, stealing isn’t too strong a word – from one of the poorest countries in the world. Yes, climbing Kilimanjaro is expensive. But the costs of maintaining a mountain that big are high. Besides, whatever price you pay, trust us, it’s worth it. So you have decided to climb Kilimanjaro, and have thus taken the first step on the path that leads from the comfort and safety of your favorite armchair to the untamed glory of the Roof of Africa. The second step on this path is to consider with whom you wish to go. There are plenty of advantages in going with a friend. There’s the companionship for a start. It’s also cheaper, because you’ll probably be sharing rooms, which always cuts the cost, and if you are planning on booking your climb through an agency in Tanzania your bargaining position is so much stronger if there are two of you. Having a companion also cuts the workload, enabling, for example, one to run off and find a room while the other looks after the luggage. It also saves your being paired with someone you don’t know when you book with an agency; someone who may snore or blow off more violently than your friend ever would. And, finally, if you do both make it to the top, it’s good to know that there will be somebody to testify to your achievements upon your return. Those without friends willing to climb a mountain with them should not worry. For one thing, you’ll never truly be on your own, simply because the park authorities forbid you from climbing without a guide and you’ll need at least one other crew member to act as porter. Furthermore, planning to go on your own means you can arrange the trek that you want; you choose the trail to follow, the time to go and for how long; the pace of the walk, the number of rest-stops, when to go to bed – these are all your decisions, and yours alone. You are the boss; you have nobody else’s feelings to consider but your own. If you want to join up with others, for companionship or simply to make the trek a little cheaper, that’s not a problem: you can book your trek in your home country with a tour operator (they nearly always insist on a minimum number of participants before the trek goes ahead); or you can book in Tanzania and ask to be put with other trekkers (which will often happen anyway, unless you specifically say otherwise). And even if you are walking alone, you can always meet other trekkers at the campsite in the evening if you so desire. Trekking by yourself is fun, and not the lonely experience many imagine; unless, of course, you enjoy the bliss of solitude and want to be alone. That’s the beauty of walking solo: everything is up to you.